From January 30 through February 18, members of the public will have the opportunity to experience the sights and sounds of a typical solitary confinement cell. 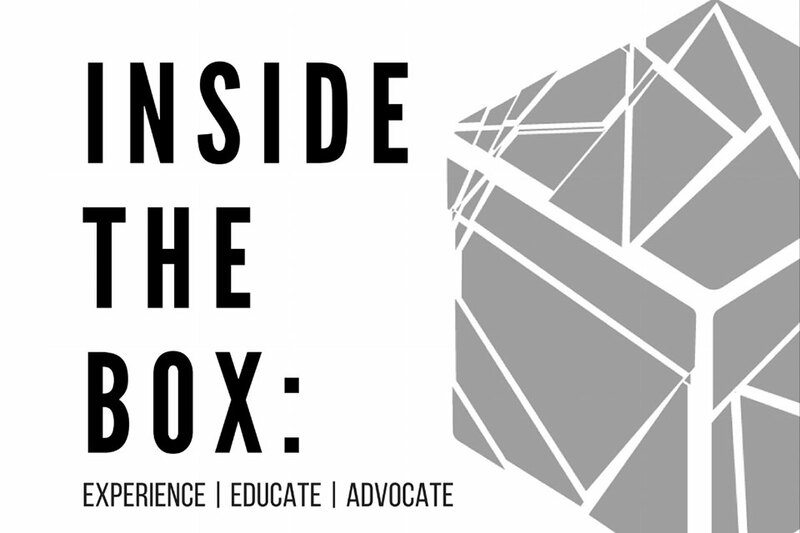 A broad coalition of local community, religious, and university organizations, including Yale Law School’s Liman Public Interest Program and the Schell Center, will host “Inside the Box,” a three-week-long display of a replica solitary confinement cell at the New Haven Free Public Library and on the Yale campus. The display will be accompanied by numerous events, including community discussions, film screenings, expert panels, and a talk by Connecticut Department of Correction Commissioner Scott Semple. “Connecticut has made tremendous gains in terms of regulating the use of solitary confinement, but there remains room for improvement,” said Steve Lance ’18, a member of the Allard K. Lowenstein International Human Rights Clinic at Yale Law School. “We hope these events will bring home the real costs of solitary confinement in human terms—to prisoners and their families, to correction officers, and to the public,” added Sameer Jaywant ’18, a fellow clinic member. “Our goal is to provide members of the community with an opportunity to experience isolation, to learn about its harms, and to engage in advocacy for limiting its use,” said the Rev. Allie Perry, the coalition’s lead organizer. Solitary confinement is the practice of placing a prisoner alone in a cell for 22 to 24 hours a day with little human contact or interaction. According to the United Nations Special Rapporteur on Torture, prolonged solitary confinement is torture. On any given day, however, around 80,000 people in the United States are being held in solitary confinement, according to the Vera Institute of Justice‘s Segregation Reduction Project. “Inside the Box” will begin with a press conference on Monday, January 30 at 1:30 p.m. held at the New Haven Free Public (Ives Memorial) Library and featuring New Haven Mayor Toni Harp, Connecticut Senator Gary Winfield, solitary survivor Keishar Tucker, City Librarian Martha Brogan, William Ginsberg of The Community Foundation for Greater New Haven, and members of the Lowenstein Clinic. In addition to the talk by Commissioner Semple, events will include a discussion with solitary survivors and family members, a screening of the HBO documentary film Solitary and a talkback with its director, and a “how-to” advocacy panel. The full schedule of events is available online at https://www.insidetheboxnhv.org. The ten-feet by twelve-feet replica cell will be open to members of the public from January 30 to February 4 at the New Haven Free Public Library and from February 5 to February 11 at Yale’s Sterling Memorial Library. It will also be accessible to members of the Yale community from February 12 to February 18 at the Lillian Goldman Law Library at Yale Law School. “Inside the Box” is organized with the help or support of the ACLU of Connecticut, The Community Foundation for Greater New Haven, Dwight Hall at Yale, the Joint Projects Committee of United Church of Christ congregations of New Haven, the Liman Public Interest Program at Yale Law School, the Malta Justice Initiative, My Brother’s Keeper, the National Religious Coalition Against Torture, the New Haven Free Public Library, the Orville H. Schell, Jr. Center for International Human Rights at Yale Law School, the Rebellious Lawyering Conference, Reclaiming the Prophetic Voice, Wilton Monthly Meeting of the Religious Society of Friends, and the Yale Undergraduate Prison Project.